WWE’s Royal Rumble event is taking place in a baseball stadium this year and WWE hasn’t needed to accommodate that kind of a venue in quite a while. Phoenix Arizona’s Chase Field was able to prepare for WWE and they have a massive Royal Rumble burger to prove it. 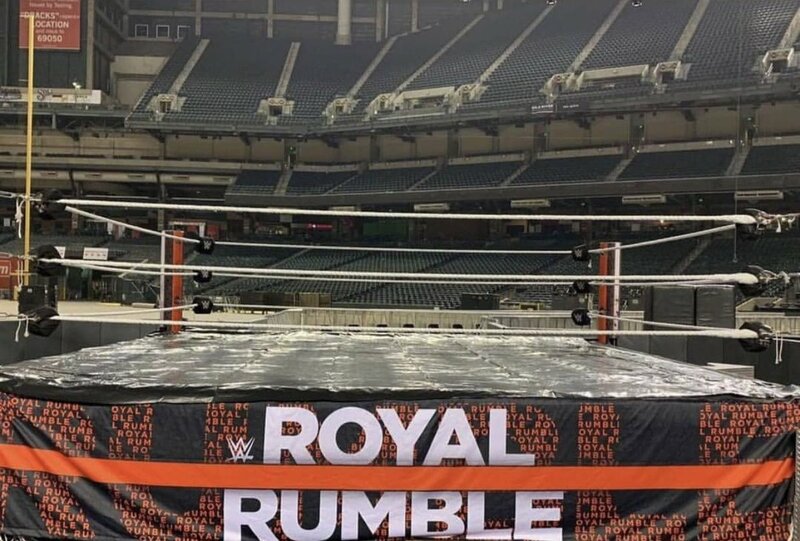 We now have our first look at the Royal Rumble setup in Chase Field. As we reported months ago, WWE Superstars will be coming to the ring via the home team’s dugout. There are big video screens above it and the rest of the seats are orientated to focus on the ring. The official Royal Rumble chairs are already lining ringside as well. Fans will get to take their seat home with them as a souvenir. They paid enough for the seat and taking their custom chair home with them is a part of that. 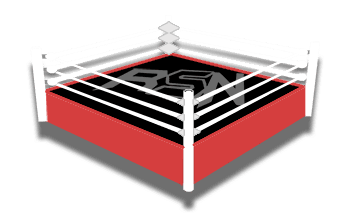 You can get a pretty good idea about how it will look this Sunday, but you also never know how it might change when the field is full of the WWE Universe.